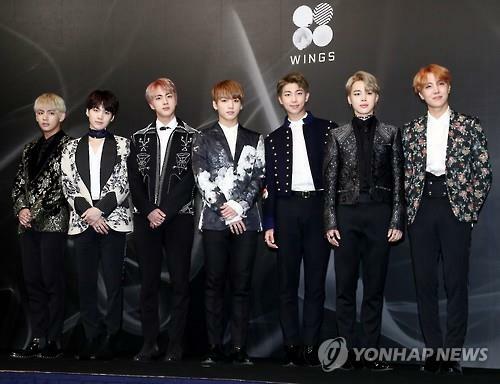 SEOUL, Jan. 11 (Yonhap) — South Korean boy group Bangtan Boys (BTS) plans to roll out a new album in February, according to a music industry source Wednesday. The album is currently in production and will be a spiritual extension of last year’s “Wings” LP, according the source who requested anonymity. 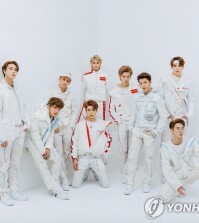 The format of the album, whether it will include repackaged old tracks or not, is still undecided, the source said. “Wings” sold 751,000 copies, becoming the highest selling album last year in South Korea. 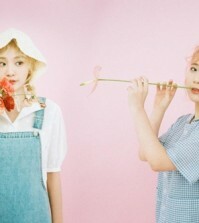 It also reached as high as 26th on the main Billboard 200 in the United States and 62nd on the United Kingdom’s Official Albums Chart Top 100, marking the highest overseas feat achieved by a Korean musician to date. “Entertainment agencies are keeping a keen eye on the release date of BTS’ album, with some artists planning to refrain from releasing anything near that time frame,” the source said. The boy group is slated to hold its concert “The Wings Tour” on Feb. 18-19 at Gocheok Sky Dome in western Seoul.